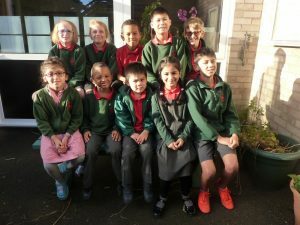 Maple School is one of only two primary schools in Hertfordshire which have special facilities and trained staff for hearing impaired children. Maple’s Unit has places for up to 10 hearing impaired pupils, throughout the Infants (Foundation Stage and Key Stage One) and Juniors (Key Stage Two). Children are placed in the Maple Unit according to their overall needs – not just according to hearing loss. Children are assessed by the Hearing Impaired Advisory Service and their suitability for a place at Maple is decided by a multi-disciplinary panel. All the children placed at Maple have been assessed as having the potential to develop speech and language without the use of a signing system. The children have statements of Special Educational Need or Educational Health and Care Plans which are reviewed annually, or more often as necessary. Parents, children and staff are all fully involved in this process. Hearing Impaired children placed in the Unit are full members of their mainstream class. They wear post aural hearing aids or cochlea implants and use radio aids to integrate. The Teacher of the Deaf works closely with class teachers, to ensure children have full access to the learning environment and National Curriculum. Pupils are also timetabled to be supported and taught in individual or small groups, within the classroom or Unit. Teaching sessions follow the National Curriculum to develop the children’s speech, language or social skills. There is also some time spent as a Unit group, to develop the pupils’ understanding of deaf issues andthe relationships between hearing impaired peers. A visiting Speech and Language therapist assesses the children and plans individual programmes of work with the Unit staff.